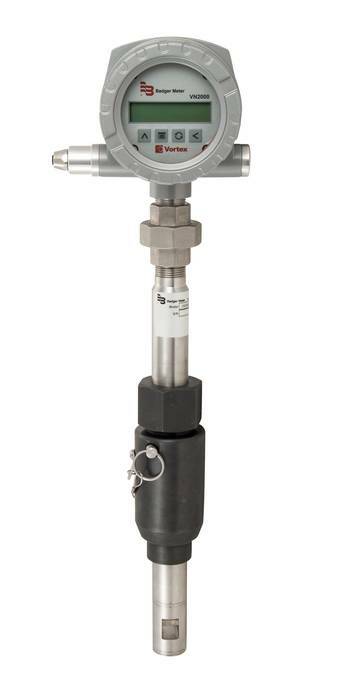 The VN2000 Compact and Hot Tap Insertion Vortex Flow Meter measures the volumetric or mass flow rate Gas, Liquids or BTU/Energy of steam over a large flow range. Machined out of solid stainless steel and engineered to stand up to harsh environments inside and outside the pipe. No internal O-rings or seals and no leak paths into the sensors or electonics. The sensors do not touch the process fluid giving them an almost unlimited life span.